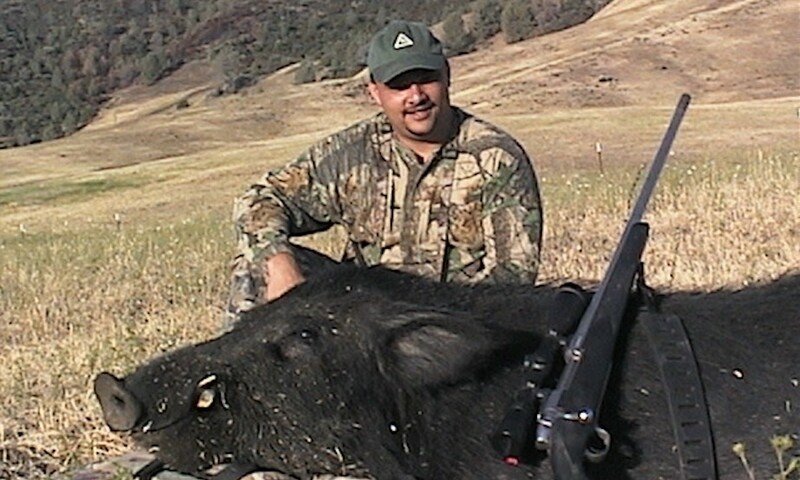 Our ranches represent some of the finest pig hunting in California and boast roughly an 90% success rate. These ranches range in size from 500 acres to over 35,000 acres. These are all fully guided hunts and include cleaning, the packing out of game, and transportation once at the ranch. These are one-day hunts. We also offer two day hunts that include lodging. Hunters must have a California hunting license, pig tags and game bag. In this part of California, lead-free bullets must be used. All of our Wild Pig Hunts are spot and stalk hunts.